Letter 566 is a combination of a notice of audit and a request for information from the IRS. It is usually sent for a letter audit. They could check the boxes on the front page to tell you the issues or they could use this letter in conjunction with Form 886A or Form 4564 to request information from you. Form 566 and/or Form 886A are extremely important because the IRS will want their questions answered by you! 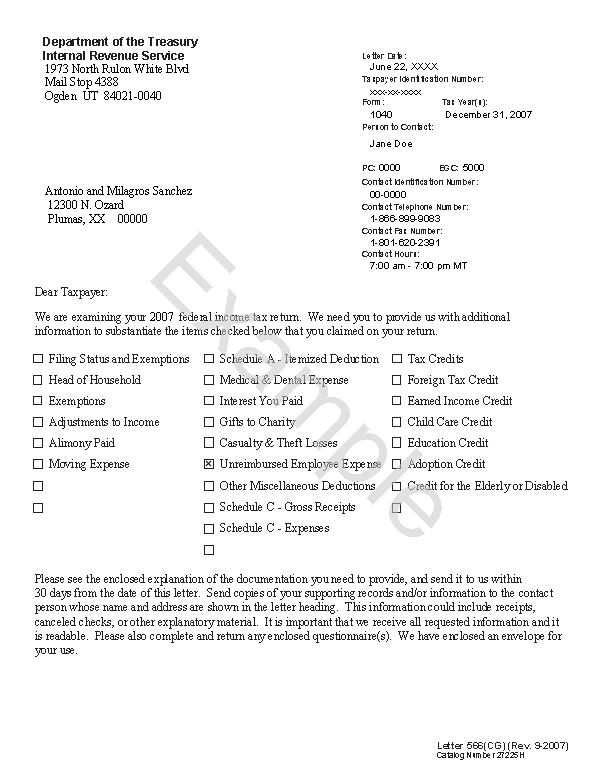 The evidence required to prove your case is not simply cancelled checks or even an accounting software program or printout. The IRS requires the evidence to be in a specific format or you will be rejected. Each element must be proved in it's own unique manner - not just a lot of cancelled checks. TaxHelpAudit.com gets you prepared for your IRS Audit by showing you what specifically to get for every line of every IRS form while TaxHelpLaw.com gives you Tax Attorney advice along the way! Please look carefully at the Letter 566 you received from the IRS. If it requests information related to Schedule C or Schedule E, please follow the TaxHelp Business Edition Prep Steps. If the IRS checked any other boxes on the Letter 566, please follow the TaxHelp Individual Edition Prep Steps or you may see the TaxHelp Audit Programs generally. The IRS will often request your bank statements & other income information but they more often, they request your deductions only to reject them with little or no explanation. You bear the burden of producing the correct information for the IRS. At any time, you may consult directly with a tax attorney from TaxHelpLaw to get more specific tactics for your case!